"Advanced communications systems that are currently being delivered to units will allow fully switching to cutting-edge digital data transmission technologies by 2020." Russia’s Strategic Missile Force will fully switch to digital data transmission technologies by 2020 to make command and control more effective and improve decision-making quality, the Defense Ministry’s press office said. "Advanced communications systems that are currently being delivered to units will allow fully switching to cutting-edge digital data transmission technologies by 2020," the press office said. Over the past three years, the Strategic Missile Force has received advanced digital data transmission systems, satellite communications stations, radio stations, communications equipment maintenance and repair systems, digital radio relay stations and automatic telephone systems, the press office added. 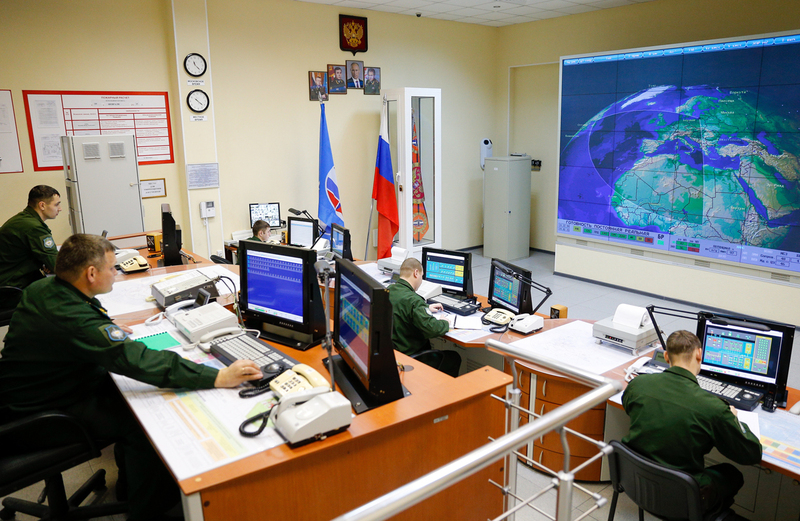 Control centers down to the missile division level inclusive have been furnished with advanced equipment. Also, work has been carried out to reequip alternate command posts of missile divisions, elements of the Strategic Missile Force’s Communications Center, training centers, the Peter the Great Strategic Missile Force Military Academy and its affiliate in Serpukhov in the Moscow Region. According to the press office, these measures will boost the Strategic Missile Force’s responsiveness, make their command and control much more effective and improve decision-making quality considering relevant information security, jamming immunity and reconnaissance resistance steps.